Space, the final frontier. These are the voyages of the Starship Enterprise. It's 5 year mission, to explore strange new worlds, seek out new life and new civilizations. To boldly go where no man has gone before. Those words spoken by William Shattner over 50 years ago have inspired me, and multiple generations to look up to the stars. They have provided children and adults alike a vision of what our future could be. In those 50+ year Gene Roddenberry's vision has given us 7 TV series and 13 full featured movies spanning over 550 hours. And I am going to watch them all, in 2019. In September I wanted to start watching a Star Trek series again, but I had a hard time choosing. Do I go with the classic TNG, or revisit the Delta quadrant in Voyager? I have never seen the original series in its entirety, but can I stomach sitting through it? Then I had this crazy idea to challenge myself to watching the entire Star Trek catalog. To put some perspective of what this will entail, there are a total of 742 episodes of Star Trek aired so far. That means if I were to watch 2 episodes a day I would be 11 short of watching them all. And that excludes the movies and any new episodes that release next year. Here is a break down of the challenge. Watch every episode and movie officially released in the order it originally aired. Read at least one Star Trek Novel, suggestions welcome. Read a Star Trek comic arc. Play at least one Star Trek video game. I have compiled a spreadsheet that breaks down every piece of known content so far. Star Trek episode/movie list. I also plan to do weekly blog entries where I will talk about how things are going, what I watched and what my favorite episodes are. Oh I know, I’ve already seen the entirety of DS9 at least once if not twice. But this time... I don’t know what happened. I can’t explain it. But DS9 is just good all the way through. Well, except for season 1. I stand by my belief that it was the competition that Babylon 5 posed that made DS9 step up its game and become the best Trek series imo. Granted, I never watched the final season or two of Voyager, nor anything beyond that except for the 2009 movie. I have a line up of game ideas. I bought Star Trek: Judgement Rites and Star Trek: 25th anniversary from gog.com which are two point and click adventure games from the early 90s. I played Judgement Rites to the end. It actually had voice acting if memory serves which was rare for a 90s game. For TNG, I want to try to get Star Trek: Away Team. 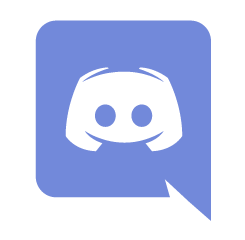 I finished it twice, but I don't know if I can get it working on a PC. I never played Elite Force II so I may see what is involved in getting that. For DS9, The Fallen was a fun third person game. I remember it having a few parts that were really frustrating though. Voyager will definitely be Elite Force. All good choices, except I can't speak to Away Team. That's also a very fair assessment of DS9: The Fallen. Ok. Day 2! How's it going? Season 1 has its bumps (Move Along Home is a disaster), but it also has some absolute gems. Duet might be one of the best episodes of the entire show. Things got off on a rocky start, but it was a success. I had loaded up my old Amazon Fire HD with 16 episodes of The Original Series in preparation for my trip to France. Before I left home, I was searching for my headphones so I can watch it on the plane as planned, but I couldn't find them. My wife gave me her Apple earbuds that came with her last iPhone still in the package as a replacement, but when I got on the plane I found out that the headphones were not 3.5mm but instead a lightning connector. Air France provided headphones for the flight but when I tried to use them, the audio was at a whisper. The Fire HD doesn't seem to output that much volume and the videos I had were quiet to begin with. Thankfully I was able to get my wife to part with the Bose headphones she was using which were powered and was able to watch the first episode on time. So, at 12:00am PST on January 1st, 2019 I watched Man Trap, the first episode of Star Trek aired. The episode was interesting. It involved a creature that was the last of it's kind that survives by eating salt. Their species had consumed all the salt on their planet leaving them with no food. They have an interesting ability where they can read your thoughts and make you think that you are somebody else. The overall story was enjoyable but there were tropes that today just seemed hard to watch that today wouldn't fly. There is a meme in Star Trek where if you go on an away mission, and you see a character wearing a red uniform, they would probably die as they were the expendable character. John Scalzi even wrote a comedic novel called Red Shirts that made fun of this. In my spread sheet I created new columns to keep track of which color shirts died in each episode, and Interestingly in the Man Trap, two blue shirts and one gold shirt died. So, jet lag is hitting me hard, I hope to be over it today. I have started watching the second episode but am already starting behind. I need to watch 4 episodes today to catch up. In my spread sheet I created new columns to keep track of which color shirts died in each episode, and Interestingly in the Man Trap, two blue shirts and one gold shirt died. I love that you're keeping this tally! Please do update us on those numbers every now and then! I listen to The Greatest Gen podcast where they do this exact thing and they have made it through TNG and are on DS9 right now. 90s Star Trek is definitely a product of its time! Yay, hello fellow Friend of DeSoto! kazar, I wish you the best of luck with this. There's a lot of amazing Trek, but wow is there also a lot of terrible Trek. I am still slowly catching up, I heard your ad during a DS9 season 1 ep. Got a little chuckle. Also man DS9 season 1 is a rough ride. I hope Ben and Adam start finding some gems among the crap. When the nostalgia isn't there, a bad season has got to be a challenge to slog through. DS9 season 1 is rough. However, it certainly gets much better as it go's on. Just need to slog through the start. As escher77 said, season one is mostly tough except for a few gems like Duet. Season two fares better, while season 3 is where it begins to take off. They're about to get to the Improbable Cause/The Die is Cast two-parter. Can't wait. Well it’s just me, goodjerwise in the whole of France as far as I know. As sole provider for two small children, evenings are tricky. How long are you staying? DS9's season 1 is much better overall than TNG's season 1, but I enjoyed the stuff about Bajor, especially in the latter half of the season. It's still galling that the first episode dealing with aliens from the Gamma Quadrant is Run Along Home, though. What a god-awful episode. The new discovery short about Mud comes out today. That’s Mudd, H. F. Mudd. I call him Alowishus Devadander Abercrombie. 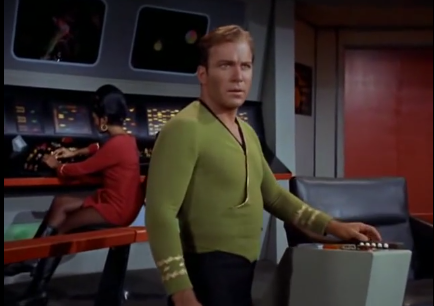 I was watching the second episode of The Original Series and noticed that Captain Kirk was wearing a green uniform. I have seen him do this before but it always seemed odd. In Star Trek, the uniform colors gives an indication of the role the officer has on the ship. In The Original Series and Enterprise red was for security, engineering and operations, blue was for science and medical while olive green was to represent command. In The Next Generation, Deep Space Nine and Voyager red was for command and gold was for security, engineering and operations. So why do we only on occasion see a green uniform usually only worn by Captain Kirk. It turns out the material that was used to make the original uniforms showed up as gold when filmed or photographed, while the alternate uniform we sometimes see Kirk wear was made of a different material so it would show up in the color it was originally intended to be. In later seasons, there is dialog which mentions gold uniforms which put it into canon from that point forth. Another interesting uniform tidbit. The pants they wore was dark grey but on film it shows up black. I am putting the results in the spreadsheet in the original post. I will visit it per season and series too. The interesting part will be to see if things change when security switches from red to gold. It is a short trip. Flying back on Tuesday. We are planing to go to Disneyland on Monday and Eiffel tower tonight. I think the weekend will just be walking tours. So why do we only on occasion see a green uniform usually only worn by Captain Kirk. It could be leisure wear. Maybe Star Fleet was having a half-day. I am at the end of the first week of the Year of Trek. It has unfortunately been a rocky start. First challenge is finding the time to watch the episodes while also being on vacation in Paris. After 12+ hour days I tend to be tired. I also got pretty sick and had slept 30 hours in a 36 hour stretch (missed my chance to go up the Eiffel tower, but at least it would have been my second time). As of today, I have watched 5 episodes out of the planned 10 so I will have some catch up to do. I should be able to catch up to most of it on the plane back. So far there have been no red shirts that have died. One episode didn't have red shirts at all (pilot). So far the count is Blue:4, Gold: 3, Red 0. My two favorite this week were "Where no man has gone before" and "The Naked Time". Since money was no longer used throughout the Federation, Starfleet increasingly relied on various perks to attract the best talent. Casual Stardates quickly became one of Starfleet's most powerful recruiting tools. Second week down. I was still recovering from illness and Tuesday was reserved to travel. I got through an episode on the plane but was pretty much sleeping the entire time. On Friday I have a friend staying at my place for the weekend which takes away my catch up opportunity. Next weekend I plan to go through 5 episodes a day hoping to catch up and I get MLK day off. This week a few red shirts did die, all in one episode leaving the count at Red: 2, Blue: 4, Gold 3. I only got through 4 episodes this week but I do want to recommend two for viewing. Mudd's Women is an ok episode but I have seen articles saying that Harry Mudd will be in Star Trek Discovery so it might be good to watch this one just to see how they are different. My favorite episode of the 4 was What Little Girls Are Made Of. It was the first introduction of androids in the Star Trek universe and it was Majel Berret's first episode as Nurse Christine Chapel. Sorry for the late update. The past 5 days have been hectic. This week I am already ahead of where I was for all last week and with MLK I hope to catch up. Fell behind this week as well. Wasn't expecting to have four hockey games schedules in the same week which ate up most of my viewing time. I was able to get through 7 episodes this week. This weekend was a long weekend which will give me some time to catch up but I am around 20 episodes behind schedule so I am going to have to do a few weekend marathons to get back on track. My favorite episode was Balance of Terror. It was a cat and mouse game played between the Enterprise and a cloaked Romulan Bird of Prey. Some compare it to the film The Enemy Below which is a similar story about an American destroyer that was tracking a German U-boat. While a U-boat is able to mask itself by being quiet under the vastness of the sea, the Romulans have a cloaking device that when they are not moving is almost completely undetectable. This week no one died which keeps the Red Shirts still behind in the tally. I started playing Star Trek the 25th Anniversary, a point and click adventure game in the same vein as Kings Quest. I played for three hours and finished two of the seven chapters. The game is clunky due to it's age but overall still was fun. I recorded the session but part of it didn't come through very well. At the end of the game I will try to post the video to youtube. Where did you buy that game? I'm always up for Adventure games! This week I was able to watch thirteen of the required fourteen episodes excluding what I needed to catch up for the past three weeks. I should be almost finished season two but just finished season one. I will try to watch three episodes a day this week to see if I can get partially caught up though it has been tough. This week gave me some good episodes to watch. Space Seed, the episode that introduced Khan. One of my favorite episodes from when I was a kid A Taste of Armageddon and the final episode of the season Operation: Annihilate! are all worth watching. I would give an honourable mention to Devil in the Dark and The City on the Edge of Forever. This week I also saw the fight scene between Kirk and Gorn, subjectively listed as the worse fight scene ever in Arena. Two red shirts died and one blue shirt this week which brings things very close. I know the CG effects they made for TOS has its share of detractors, but that's a big upgrade over what was originally shown. I will probably comment on it at the end of the series, but personally I felt that the upgrade in effects were very tasteful for the time and didn't detract from the show. The quality of the recapture from film is really good too. I didn't realize that Chekov wasn't in season one at all. The position of navigator was always filled by random characters, sometimes important to the story line and other times just fillers. I am looking forward to seeing him in season two. Please say he is in season two. It seems that most episodes end with Kirk and McCoy making fun of Spock. It is almost at a bully level. If it wasn't for Spock's lack of emotions I don't think Kirk and Spock would have been friends. Overall I felt the best acting came from Leonard Nimoy. The final episode where he is fighting pain that would put most people into a frenzy, his ability to act like Spock but give slight indications that all was not well was really well done. I didn't realize how often they used the Vulcan neck pinch. It seemed at least once or twice an episode Spock was subduing someone using it. It might seem like it was a crutch but I felt it was a really good way to prevent a long fight scene and it gave some extra depth to Spock. I always new Kirk was the womanizer of the series who always liked getting his shirt torn off in a fight scene but I didn't realize how much this was so. There is almost always a new female character that Kirk has his eyes on that distracts him from his overall objectives. The few times where the love interest is with another character such as in This Side of Paradise, Kirk seems doubly focused to accomplish his objectives. I also didn't realize that the first season was almost exclusively a show about Kirk and Spock with a little McCoy mixed in. All other reoccuring characters had nothing more then bit roles. I didn't learn anything about the Scotty or Sulu and all I got from Uhura is that she can sing and play the lute. I won't get into my gripes about time travel now, but the season had three episodes involving time travel meaning that 10% of the stories were time travel related. Season one had a tie. Blue and Gold shirts each five deaths each while Red shirts only got four. Maybe other seasons will fair better but so far it isn't looking good for the Red shirt meme.